- Turn Off the Galaxy S6 Edge Smartphone, And wait for 10 seconds. - Put the phone into Download Mode. - Use the USB cable to connect the phone to the PC. - Wait until Windows detects the new connected device completely. - You should see the COM port number of the phone at Odin3 window (0:[COMxx]). - Odin3 flasher will start installing the new firmware files into the Galaxy S6 Edge. - Wait until Odin3 flasher reboots the phone. - If you see PASS! Word at Odin3 program's window, That means the update was done successfully. - After the device is completely on, Type *#1234# Using the phone's Keypad. - You should see the details of the new installed firmware on screen. - Now the Samsung Galaxy S6 Edge SM-G925F has a new firmware version. 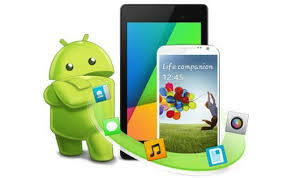 - In this Guide we used a full firmware package, In case you download one file firmware package, Then you have to select the one file as AP file only, And complete the other steps as explained. - You can update your device software version without using any PIT file, So use the PIT file only if you need to fix your device partitions. - If your Samsung Galaxy S6 Edge SM-G925F is locked to any network worldwide, You can Unlock it so easy, Cheap Samsung Unlock Code is available.